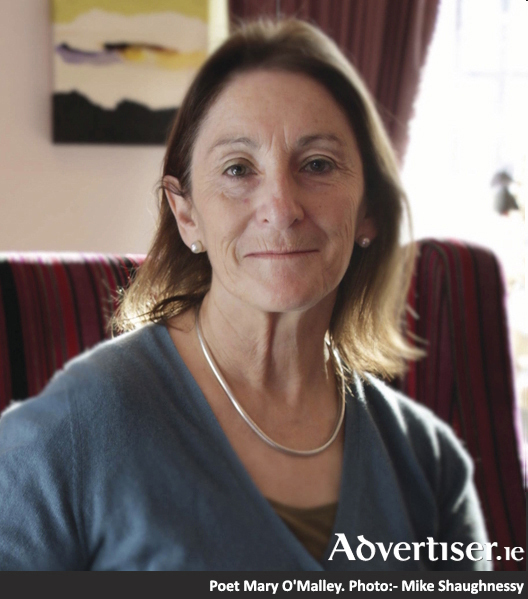 Mary O'Malley is an Irish poet and lecturer born in Connemara and a native speaker of Irish. She was educated at University College-Galway and lived in Lisbon for eight years and taught at the Universidad Nova there. Mary teaches at the National University of Ireland in Galway. She served on the council of Poetry Ireland and was on the Committee of the Cúirt International Poetry Festival for eight years, she was the author of its educational programme. She taught on MA programmes for Writing and Education in the Arts at NUI Galway for ten years, held the Chair of Irish Studies at Villanova University in 2013, and has held Residencies in Paris, Tarragona, New York, NUI Galway, as well as in Derry, Belfast and Mayo. She received a Hennessey Award in 1990, a Lawrence O’Shaughnessy Award in 2009, and is a member of Aosdána. She was the Arts Council / Frank Mc Court Writer in Residence at U.L. in 2016 and joint winner of the Eigse Michael Hartnett Award in 2018. She writes for RTE Radio and broadcasts her work regularly. O’Malley has been active in environmental education for twenty years with a specific interest in the sea and bogland. She has published seven books of poetry and her poems have been translated into several languages. Her collections include A Consideration of Silk (Galway, Salmon Poetry, 1990); Where the Rocks Float (Salmon, 1993); The Knife in the Wave, (Cliffs of Moher, Co. Clare, Salmon Publishing, 1997); Asylum Road (Salmon Publishing, 2001); The Boning Hall (Manchester, Carcanet Press, 2002); and A Perfect V (Carcanet Press, 2006). She is currently working on a memoir and has just finished a new collection of poems entitled Valparaiso and her most recent collection is Playing the Octopus.